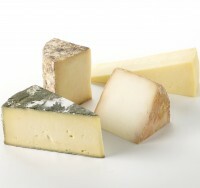 Pasteurised cheeses selected to offer a tasty and interesting range. 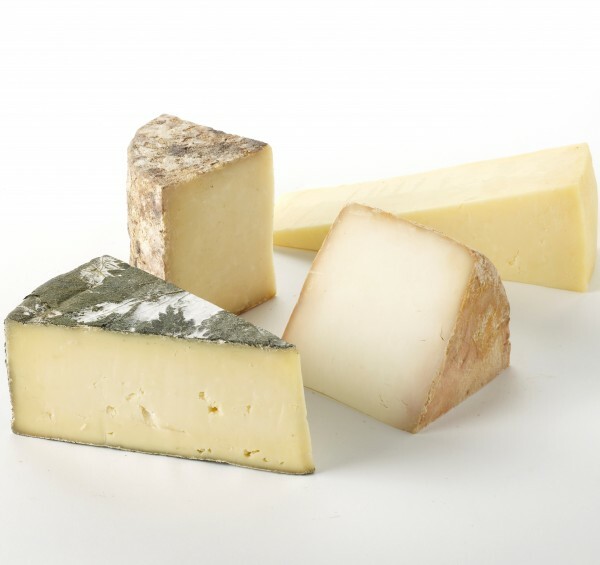 A selection of pasteurised cheeses from the West country. Paxton & Whitfield's Cave Aged Cheddar PDO 250g (pasteurised, vegetarian) - handmade in the traditional way and then matured in Wookey Hole near the Cheddar Gorge of Somerset. Strong and creamy in taste. Fosse Way Fleece 250g (pasteurised, vegetarian) - a ewe's milk cheese from Somerset that is made to a cheddar recipe. Nutty with caramel overtones. Cornish Yarg 250g (pasteurised, vegetarian) - covered in nettle leaves and similar in style to a Caerphilly, with citrus notes and a clean, fresh flavour. Pennard Ridge 250g (pasteurised, vegetarian) - A hard goats cheese with an open texture and a fresh flavour which develops to show fruity hints and a nutty ending.